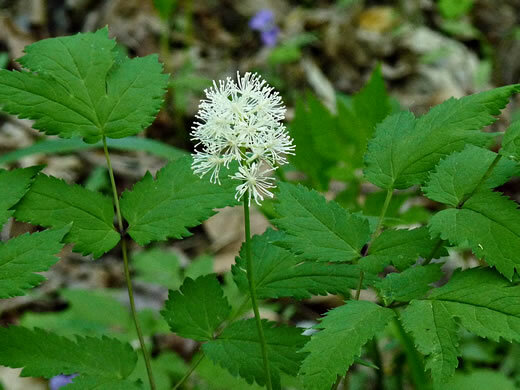 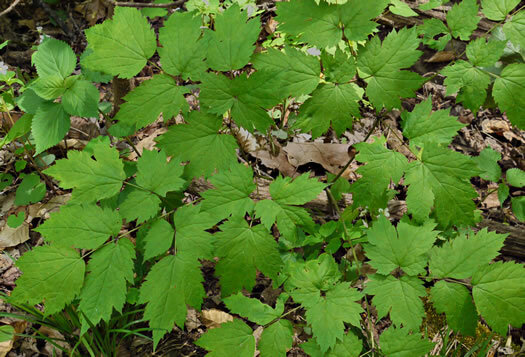 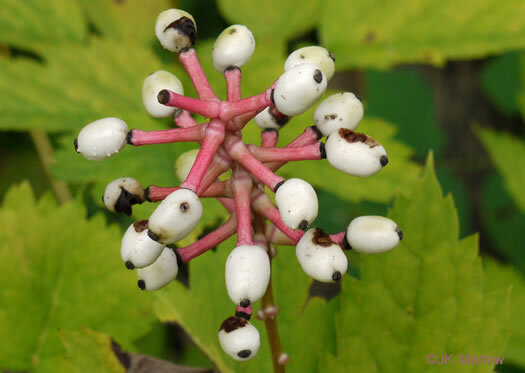 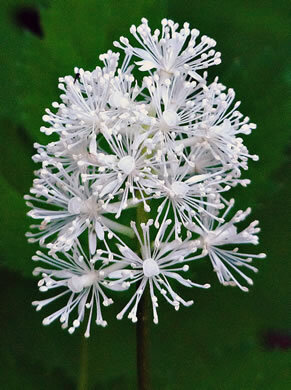 Your search found 24 image(s) of Cohosh, Doll's-eyes, and Goatsbeard. 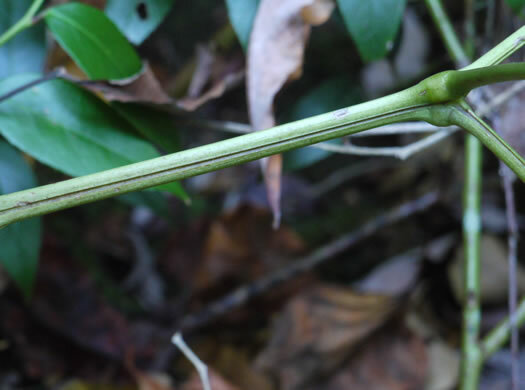 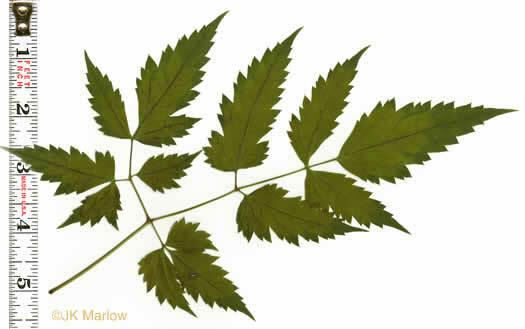 Petiole of basal leaves with a deep, broad groove (ca. 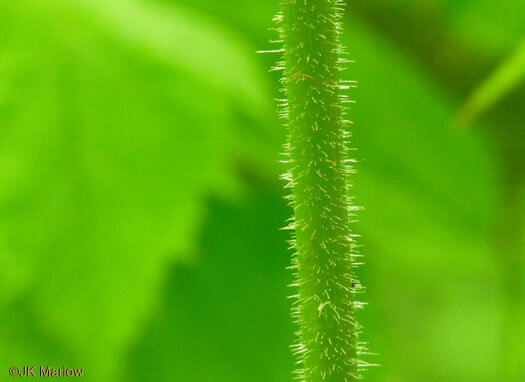 1mm wide & deep), per Weakley's Flora. 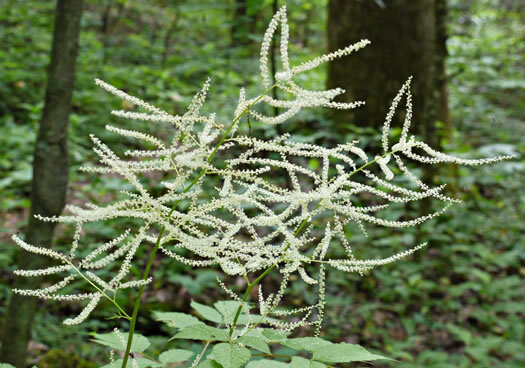 Follicles 8-15mm long, 4-8mm broad, glabrous, compressed, per Vascular Flora of the Carolinas. 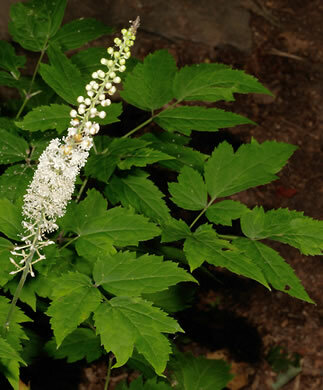 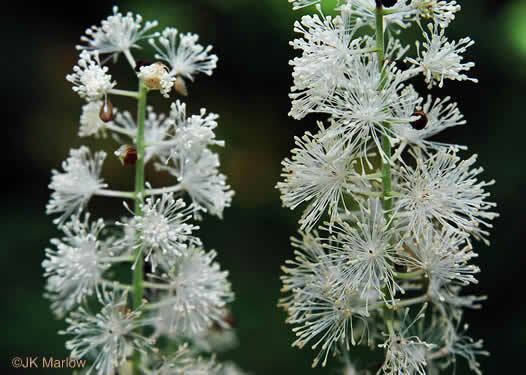 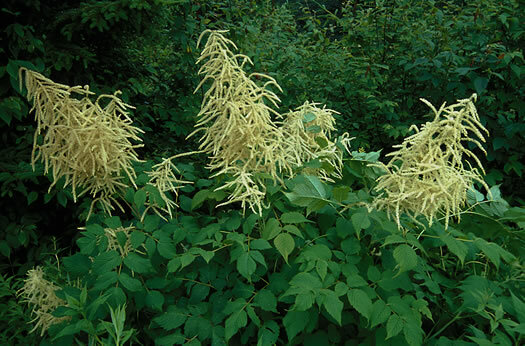 Astilbe has a hairy upper stem, whereas Aruncus is smooth, per Wildflowers of the Southern Mountains. 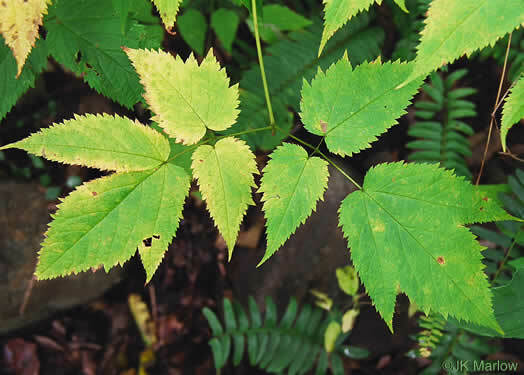 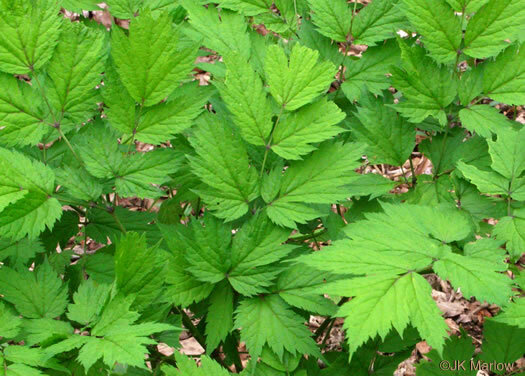 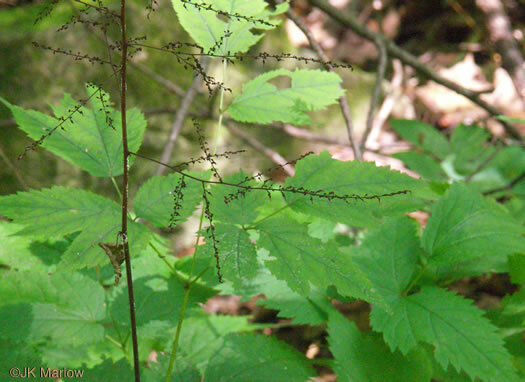 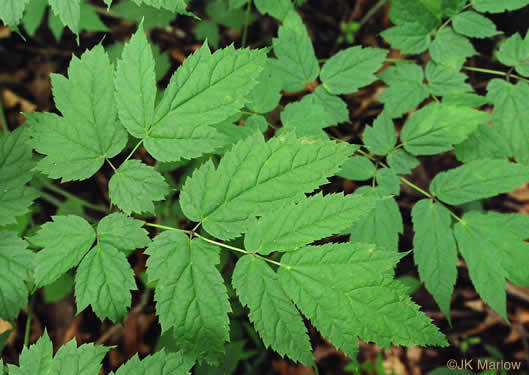 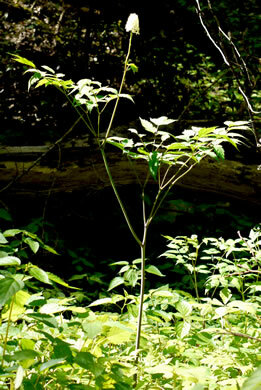 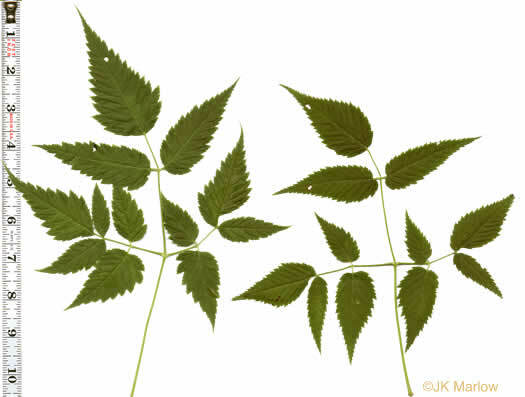 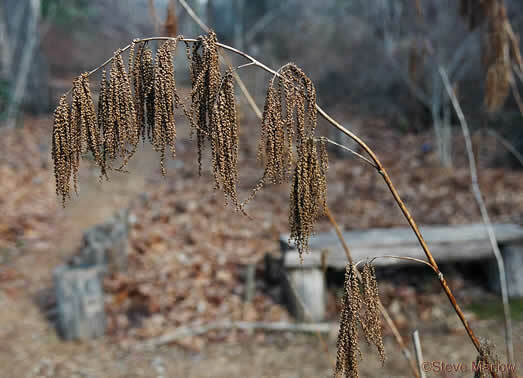 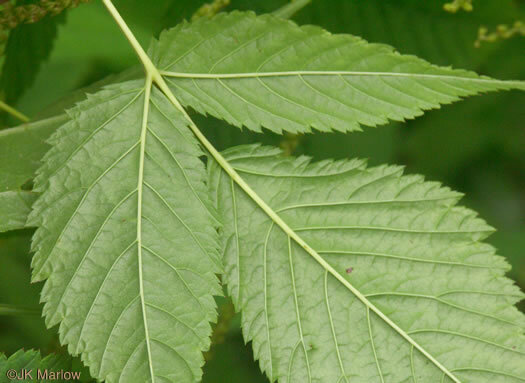 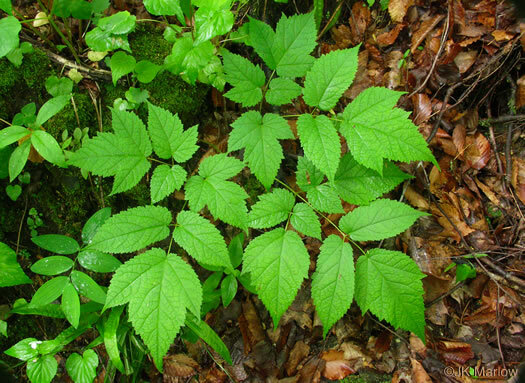 Terminal leaflets are acuminate and usually 3-lobed with a cordate base, per Vascular Flora of the Carolinas. 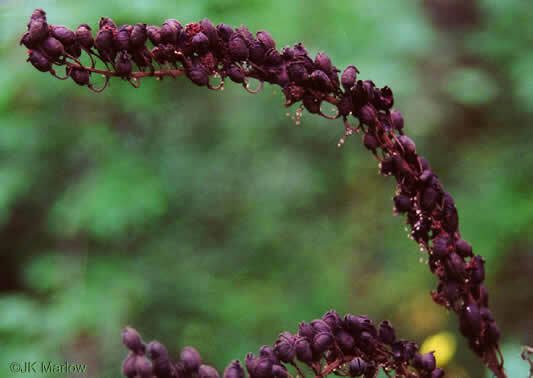 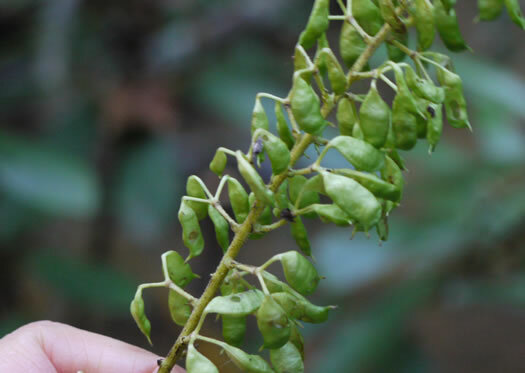 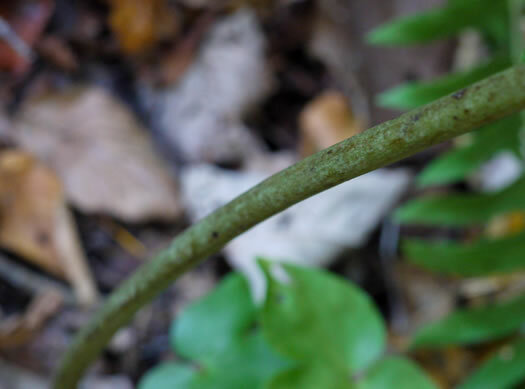 Fruit erect, lanceolate follicles, 0.15-.2" long, borne on a large panicle, per Wildflowers of Tennessee, the Ohio Valley, and the Southern Appalachians. 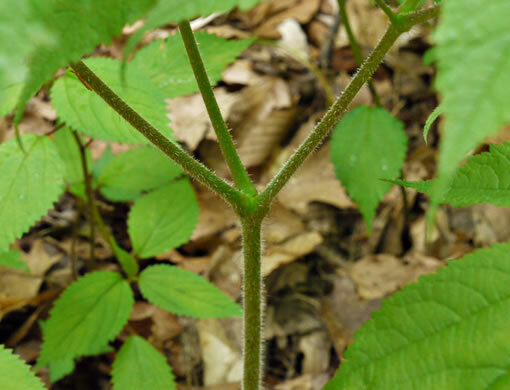 Lateral leaflets ovate, elliptic, 3-lobed or lobed on one side, per Vascular Flora of the Carolinas.